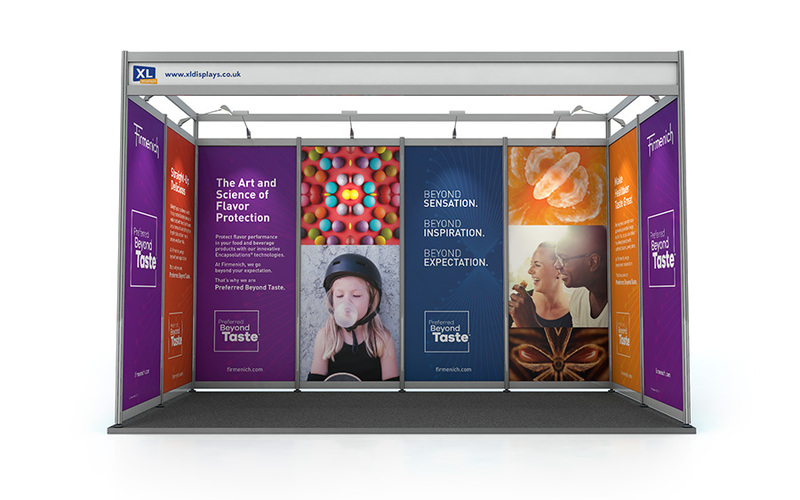 Shell scheme panels provide an alternative to portable display equipment for an exhibition. These printed panels are used to ‘dress’ a shell scheme and transform it into a customised exhibition stand. 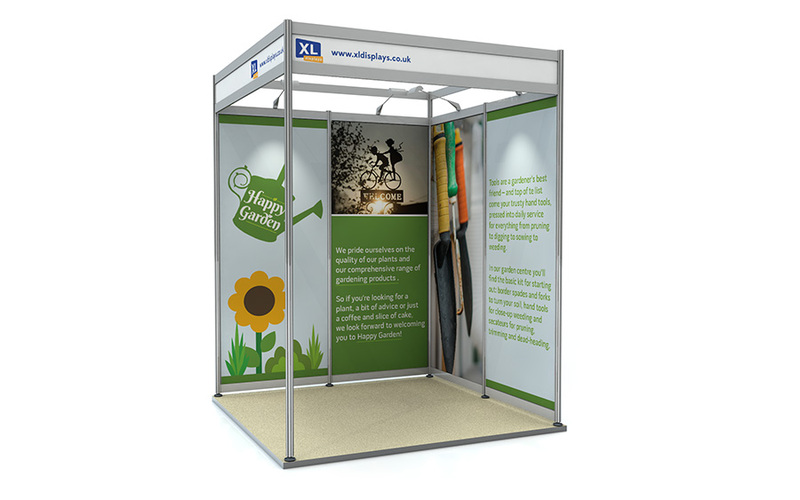 A shell scheme is an exhibition stand provided by event organisers or venue providers. It is basically a wall system which divides space into exhibition booths. Usually made up from a metal frame – posts and rails – with infill panels creating the ‘walls’, these panels are plain and can be Foamex board or fabric covered. To create a bespoke exhibition display you can cover the shell scheme walls with panels which are printed with your branding or artwork. As the hardware is provided by the venue, shell scheme panels are a cost-effective solution to a bespoke display as you only pay for the printed graphic panels. Another advantage is that as the graphics attach directly to the stand all the valuable floor space is left for use – no footprint area is taken up by a display stand. This can be important, especially if you have a small space and need to use every inch of it or you don’t want the space to feel cluttered. There are a number of options for covering a shell scheme and at XL Displays we offer printed panels in either Foamex or PVC for three configurations of shell scheme – back wall, L-shape and U-shape. Each set includes the correct number of panels needed to fit the shape. Foamex is a lightweight, rigid, foam backed board which is 5mm thick and printed in full colour for maximum impact. As Foamex cannot be folded or rolled we package the boards carefully for delivery and transport. PVC panels are more flexible and can be rolled for easy transport and storage in the graphic drum provided. We print in full colour to photo quality standard and each panel is laminated for protection and to give crease, tear and scratch resistance. Panels can be fixed to the shell scheme using either Velcro or magnetic tape. Your shell scheme provider should be able to advise on the best way to attach the graphics to their system – just let us know which method you require when ordering. 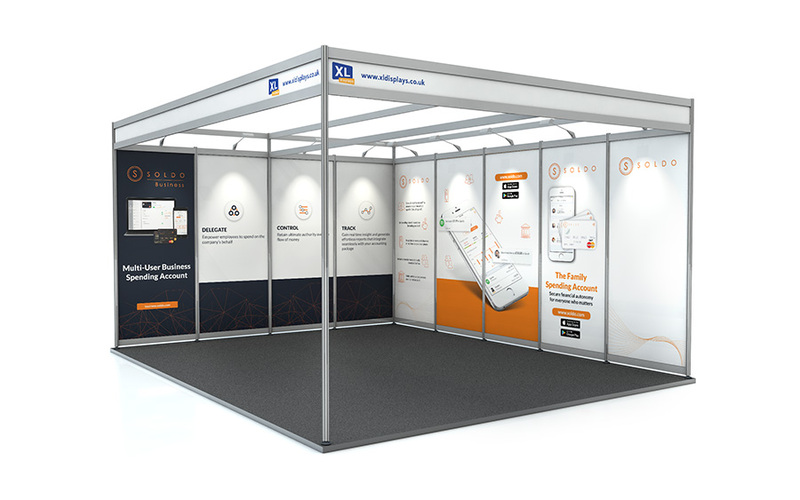 Our shell scheme panels are designed for a wide range of stand space sizes, from 2m x 2m right up to 5m x 6m. However, we can provide a solution for any size or shaped shell scheme – please contact us to discuss your shell scheme requirements. We custom make and print panels to the exact measurements you need. As shell scheme systems can vary please provide the correct measurements to ensure the panels will fit – ask your shell scheme provider if you are unsure. You can provide your own artwork for shell scheme panels which will be thoroughly checked before printing to ensure the best possible result. If you do not have artwork we offer a graphic design service and one of our designers can work with you to create a shell scheme design in line with your branding and marketing messages. For more information or advice for ordering shell scheme panels please contact us or call 01733 511030.